Wrinkles, sun spots, and minor blemishes can add up over time. Luckily, Sciton’s new Halo laser resurfacing treatment is here to turn back the clock on age-related skin damage. Halo is a minimally-invasive skin rejuvenation treatment created by Sciton, a world leader in aesthetic and medical lasers. The Halo device is the first of its kind to use both ablative and non-ablative wavelengths, providing a number of benefits over traditional laser skin resurfacing technologies. The non-ablative laser creates precisely targeted micro-injuries in the skin, triggering the production of collagen and elastin. This helps kick-start the body’s own natural healing mechanisms. Simultaneously, the ablative laser removes the outermost layers of aged or sun-damaged skin. Treatments can be customized to meet the individual patient’s needs. Some may choose to undergo one or two in-depth sessions, while others may choose to receive several, more superficial treatments over a longer period of time. Each session begins with the application of a topical numbing cream to minimize any potential discomfort. A certified professional then measures the targeted area using Halo’s motion-tracking technology to ensure that the treatment is performed evenly. Treatment sessions generally last 30 minutes, during which the handheld device is rolled over the targeted area. 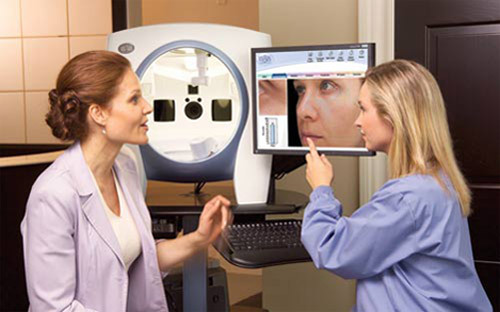 Halo’s technology recognizes when the procedure is completed, thus ensuring safe and predictable results. What skin concerns does the Halo laser address? Halo treatments can also be used by younger patients to reduce the effects of accumulated sun damage and delay the signs of aging. The topical numbing cream ensures that patients experience very little discomfort. While some report a sense of warmth or prickling — similar to the feeling of a sunburn — Sciton has also integrated a cooling mechanism into the device the alleviate these effects. In rare cases, the treatment may cause a slight pain, which some describe as similar to being flicked with an elastic band. Immediately following treatment, patients will continue to feel a warm sensation in the treated area. This will fade over the following hours. While normal activities can be resumed immediately following the procedure, the treated area will begin to peel, causing it to appear pink and dry for two to five days. Makeup must be avoided for the first 24 hours, but can easily cover up any signs of the procedure during the rest of the healing process. Results will begin to be visible three to four days following the procedure, and will be fully visible one to three weeks after. Your skin will always look better than it would have if you had you never undergone a single treatment. However, the Halo laser cannot stop the march of time. New and returning signs of aging will appear gradually. It is always important to take the appropriate measures to protect your skin from the sun as this will minimize any future damage. Maintenance Halo laser treatments are recommended in one-year intervals following your initial treatment. The three most common side effects of Halo laser treatment are redness, swelling, and itching. In rare cases, Halo laser treatments may also result in skin darkening (hyperpigmentation) or lightnening (hypopigmentation). 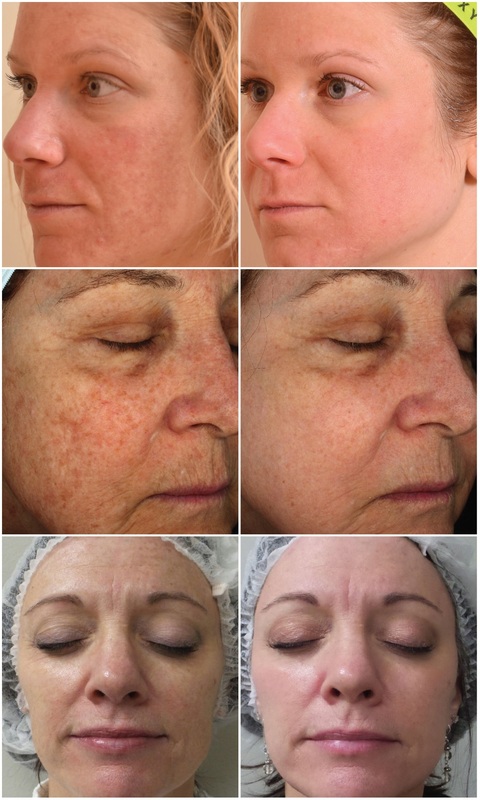 While Halo laser treatment can be performed on people of any skin tone, those with darker skin tones are more likely to experience hypopigmentation. Why choose Halo over other laser procedures? It’s true that there are a number of laser resurfacing devices on the market, and it can be difficult to determine which is best. As the first and only hybrid fractional laser, Halo by Sciton does present a number of clear advantages over its competitors. Its relatively quick and painless healing process make it a significant improvement over CO2 and Fraxel laser treatments. In terms of results, Halo resurfaces up to 30% of the skin, whereas other laser treatments such as Clear + Brilliant only resurface 5%. What is most important is determining which laser treatment is best suited to your specific skin care needs. Find out if Sciton’s Halo is right for you! Contact The Breslow Center in Paramus, NJ to schedule a complimentary skin consultation today.